SALT LAKE CITY — An early lead and strong opening quarter lifted the Utah football team to a 27-12 win over Oregon State on Saturday, Oct. 31, improving the Utes to 7-1 overall and 4-1 in the Pac-12. Utah scored touchdowns on both of its first two drives of the game to take a quick 14-0 lead. Devontae Booker capped off the opening drive with a 1-yard touchdown run (his ninth of the season) after rushing for 44 of the 75 yards of the drive. Harrison Handley scored his third touchdown of the year on a career-long 39-yard reception on Utah’s next drive. 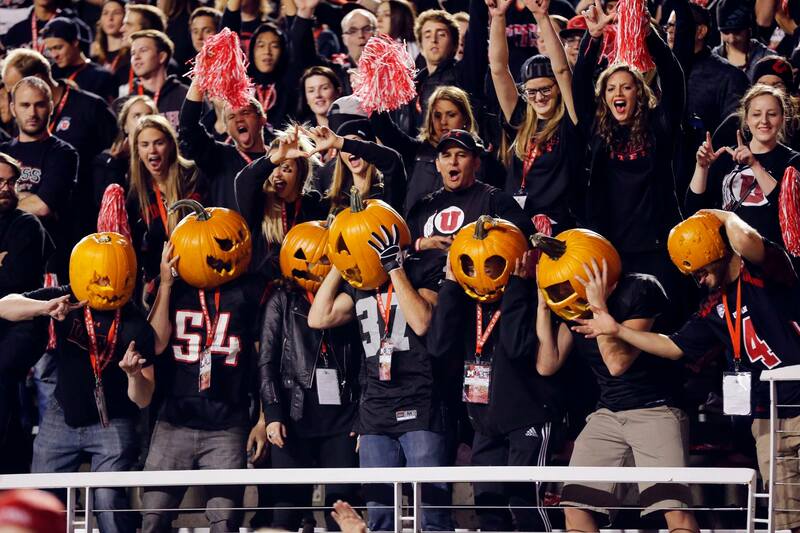 Utah outgained OSU 176-39 in the first quarter. Oregon State kicked a pair of second-quarter field goals after two drives that lasted over five minutes in the second quarter, cutting Utah’s lead to 14-6. Both teams were held scoreless in the third quarter before a flurry of scoring activity in the fourth quarter that included a pair of field goals from Andy Phillips (49 and 45 yards) as well as a 2-yard touchdown run from Travis Wilson following a 37-yard catch from Kenneth Scott to get into the red zone. 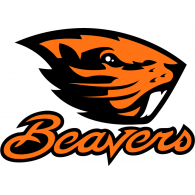 Oregon State scored its first touchdown of the game after a 74-yard play put the Beavers at the one-yard line. On offense, Booker had 121 rushing yards (25 carries) and 25 receiving yards (three catches) for 146 yards of total offense. It was his fifth 100-yard rushing game of the season. Wilson threw for 198 yards on 14-of-17 passing with one touchdown. His .824 completion percentage was the fifth-highest in a single game in school history. Wilson also added 56 yards rushing (one touchdown). 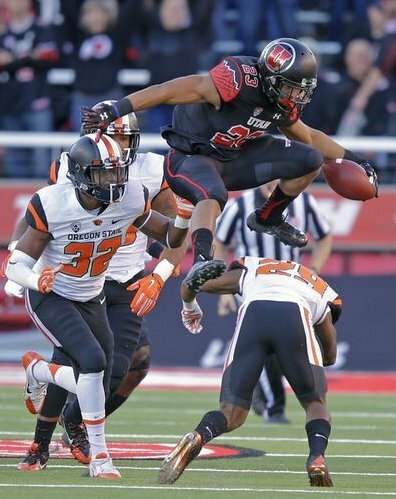 Kenneth Scott led Utah in receiving with two catches for 44 yards and Handley had two catches for 43 yards and a touchdown. Six different receivers caught passes. Tevin Carter (9 tackles, 1 TFL) and Jared Norris (9 tackles, 0.5 TFL) led the defense in tackles, with Carter tying his career high. Jason Fanaika had a team-high 2.5 TFL (six tackles). Redshirt freshman safety Chase Hansen (who only started playing safety three weeks ago) made his first career sack in the fourth quarter. Reginald Porter had four pass breakups, which is tied for the most all-time in a game and the most a player has had in a game since 2007. The Utes are on the road for their next two games (Washington and Arizona) before closing out the regular season at home against UCLA and Colorado.